The world's 'Big 4' accountancy firms - PwC, Deloitte, Ernst & Young, and KPMG - have become a gilded elite. Up in the high six figures, an average partner salary rivals that of a premier league footballer. But how has the seemingly humdrum profession of accountancy got to this level? And what is the price we pay for their triumph? Leading investigative journalist and former senior tax inspector Richard Brooks offers a ground-breaking expose of the accountancy industry and its secret rise to vast global influence. Charting the profession's history from humble agrarian beginnings to its underappreciated role in the financial crash of 2008, Brooks explores how the industry hides behind its 'boring' image to ruthlessly exploit the financial system which depends on it. 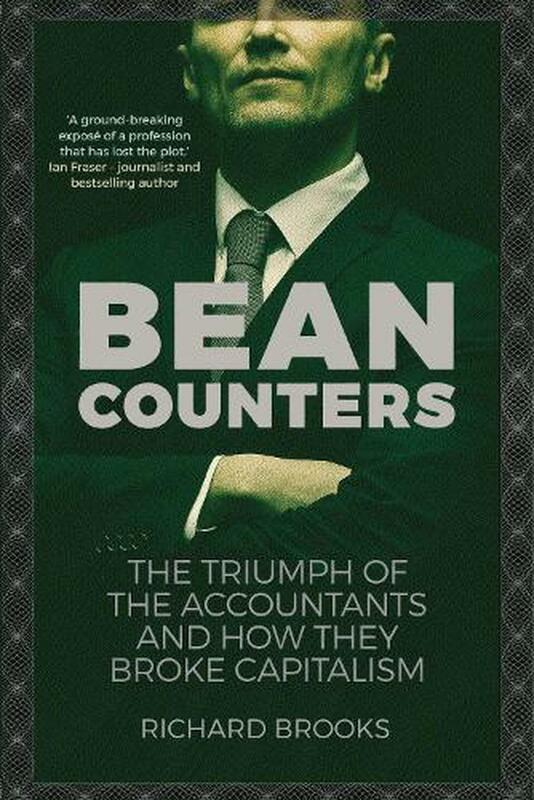 From underpinning global tax avoidance to corrupting world football, Beancounters reveals how the accountants use their central role in the economy to sell management consultancy services that send billions in other work its way - transforming the industry from one that ensures financial probity to one that reinvents the rules for its own benefit. Richard Brooks is a British investigative journalist for Private Eye, and author of several books. Brooks worked for the British government as an HMRC tax inspector for until 2005, followed by a year at the Treasury giving ministers policy advice.